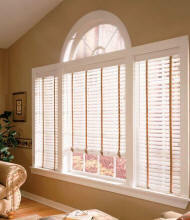 In today's window treatment market there are many types of Window Blinds to choose from. 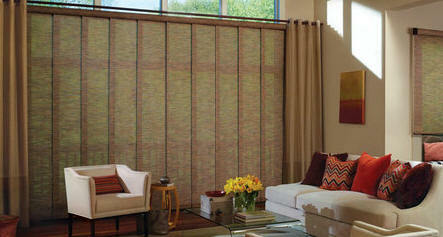 We have many solutions for your window covering needs. Below are some ideas of the most popular styles. But, there are always more and we have the ability to provide specialty window blinds just for your home or office. The real wood blinds that we at Designing Windows use come in many different slat sizes and show the uniqueness innate to natural wood products and serve to enhance their beauty. 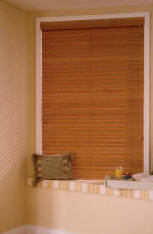 Faux wood blinds look like real wood blind but are make with a wood alloy. Which means they are made with real hardwoods and advanced thermal-polymers. If you have a window that is wider than it is tall, you may want to consider vertical blinds to cover that window space. A sheer vertical blind has a fabric vane covered by a layer of soft sheer material. Clean Sleek looking panels are a great solutions for large to medium window spans. 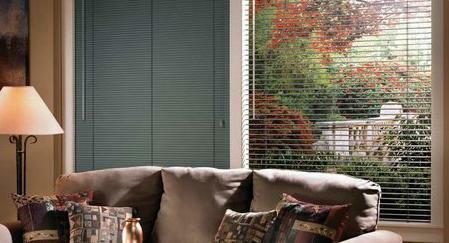 Enjoy the warmth and richness of vertical blinds made of real hard wood. 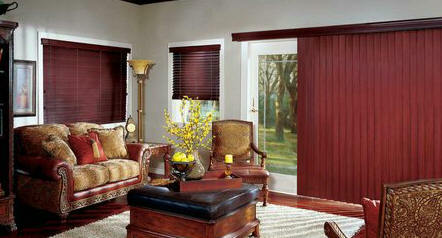 We have many styles and sizes of aluminum blinds. Our blinds are traditional when closed and when tilted open reveals outdoor views with some models revealing twice the view of other styles. 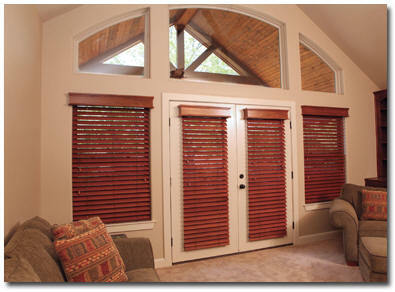 There are mini blinds and blinds with 2 inch slats and many colors and options.